Patients were able to make On-The-Day Appointment. The problem occurs when a doctors On The Day appointments falls outside the doctor’s session hours. For example, in the diagram below, Dr Steme has On-The-Day appointments for 10:10am to 10:20 am. However, if you review Dr Steme’s On-The-Day appointments in Best Practice Sessions set up, it was recorded as being on 10:20am. 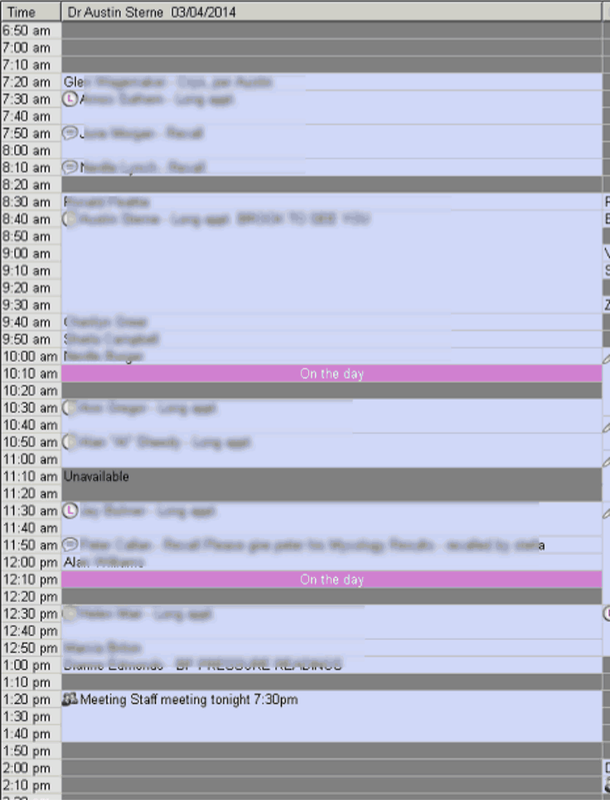 Moving Dr Steme’s On-The-Day appointments in the setup screen to match what is shown on-screen (i.e. 10:10am) will resolve the issue.